Don't ask how we did it. We practitioners of the Dark Arts are forbidden to reveal the secret methods by which we achieve our Machiavellian goals. It's similar to The Magic Circle except we will actually be killed horribly if we betray our hidden truths, as opposed to having our membership badge removed and having to pay for parking. But yes we, we small, humble few, have achieved the hitherto impossible. We've convinced the most successful author on the planet to talk about her feet. Our PLANET WIDE EXCLUSIVE interview with Jo Rowling (yes, we get to call her that) will feature in the June 2011 issue of Words With JAM. This issue will actually be out in June 2011, funnily enough. Unlike most other magazines, we are what we say on the tin. Making other magazines feel inadequate since 2009. We at Words with Jam wanted to get involved with all the fun of the BBC’s World Book Night. The April edition of the magazine will include articles from a book ‘giver’, from an author attending an event at her local bookshop, and from our reporter at the World Book Night party in Trafalgar Square. But for now, here is our World Book Night podcast – a selection of our readers and contributors championing their choice of books from the World Book Night List. If you have not been selected as one of the BBC’s World Book Night ‘givers’ why not join in Nicola Morgan’s alternative World Book Night. This weekend, buy a book from your local bookshop. Write inside it: "Given in the spirit of World Book Night, March 5th 2011 and bought from [insert name of shop] - please enjoy and tell people about it." And give it to someone. Anyone. A friend or stranger, a library or school or doctor's surgery or anything. Following on from Catriona Troth's article 'In Praise of Virtual Friends', we wondered it you have any tales about cyber-friendship you’d like to share? Do write and tell us. 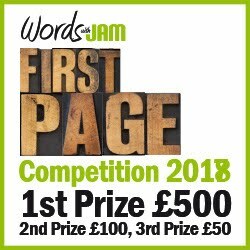 The best entries (500 words or less) submitted by March 14th will be published in the April edition of Words with Jam. 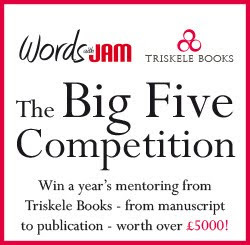 Just email submissions@wordswithjam.co.uk by 14th of March, with the subject 'Tales of Cyber Friendship'. We are also interested in any local news about the campaign to Save Our Libraries. If you have a story to tell about your fight to keep your library, please email submissions@wordswithjam.co.uk, with the subject 'Save Our Libraries'.